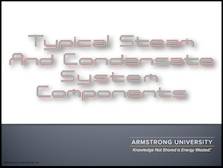 Management of condensate accumulation and distribution is an important element in an efficient steam system. 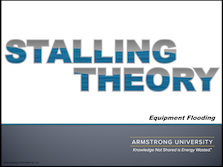 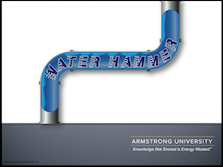 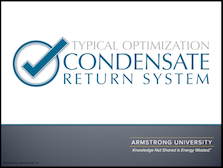 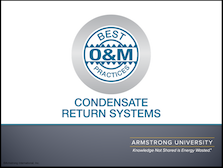 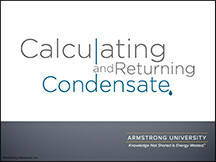 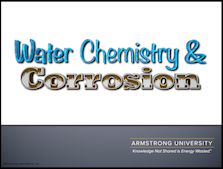 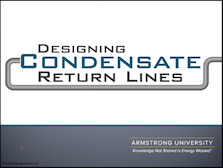 The Armstrong College of Condensate Return will explain everything you need to know from sizing a condensate return line to what causes condensate contamination. 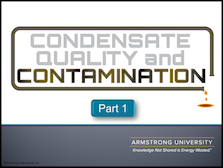 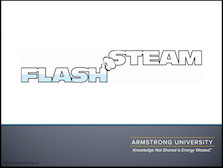 You’ll gain an in-depth knowledge about how condensate affects a steam systemm, how to eliminate stall, and utilize flash steam.